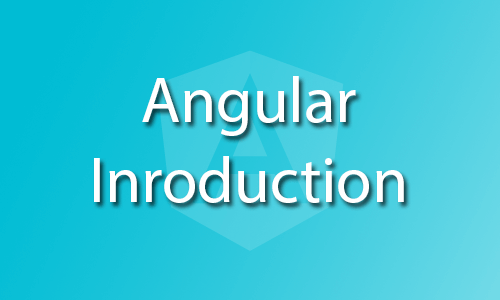 Guys, Today we are going to start a new, fresh and advanced technology called Angular framework and In this tutorial I am giving a brief and Basic Angular framework Introduction. Ya guys, starting from this tutorial, I am going to start a series of tutorials for web also. I think every web developer and react native developer heard about Angular framework and if anyone who is not familiar with angular or even not heard about angular framework then this tutorial is for you guys. Through this tutorial I am giving a brief introduction about angular framework. At the initial stage angular was just Angular JS because at that time it’s simply a js file like jquery and you had to include this file in your html to use the features of angular same as jquery but in 2016 the Google released Angular as a framework with many more powerful features and it’s completely different from the Angular JS and after that Angular JS was deprecated and now Angular used as a framework and seriously Angular is very interesting and useful framework for frontend developers. Angular framework picks one special feature from it’s deprecated JS version and it’s Two-Way data binding concept. And now the latest version of Angular framework is 6. And I want to share my personal experience about Angular JS and Angular framework. I have used both. Initially, when I used Angular JS, seriously I didn’t like this and when It was released as framework then at that time my opinion was same but I have learned and tried this framework from starting and now I felt that my opinion was wrong with respect to Angular famework and then I have started to work with framework and I assure you that you will love to work with Angular framework.